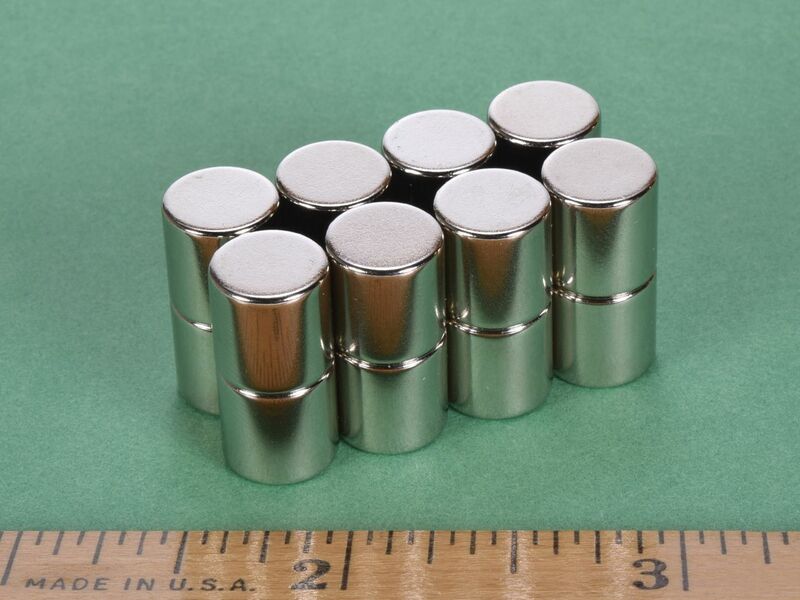 Here we offer these great sized neodymium rare earth cylinder (aka "rod") magnets. The D66 is a great magnet to have around the house or shop. 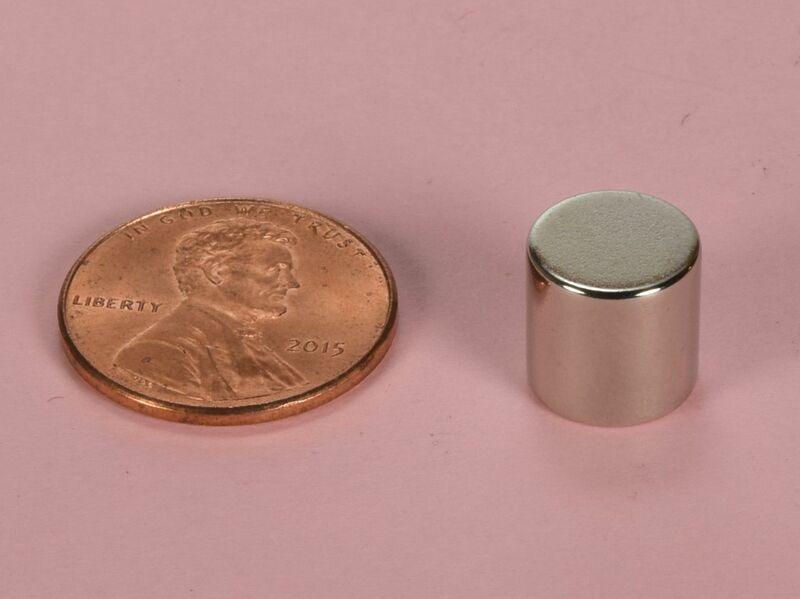 The 3/8" size makes it very powerful, yet it is still small enough that it is not overpowering. They are easy to handle and are great for hanging small and medium sized hand tools from metal lockers, toolboxes or just about anywhere. Great for science experiments and demonstrations. This size is also available in grade N52 as part number D66-N52 and in High Temp grade N42SH as part number D66SH.